The Iran-Pakistan (IP) gas pipeline project under the existing gas sale and purchase agreement (GSPA) would not serve Pakistan, the country’s Sustainable Development Policy Institute (SDPI) said in a report released today. 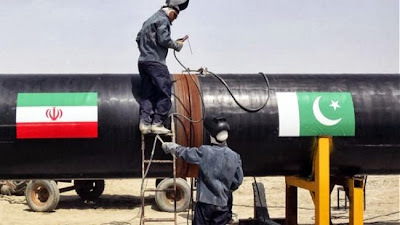 The report entitled, “Rethinking Pakistan’s Energy Equation: Iran-Pakistan Gas Pipeline,” by Pakistan’s leading think-tank said this project can be beneficial if the gas price agreement would be based on fixed rate. The report argues that Iran is importing gas from Turkmenistan at the flat rate of $4/MMBtu with no linkage to crude oil prices. It adds that Iran would start exporting gas to Pakistan at $14/MMBtu, with the price subject to periodic revisions based on market conditions. The agreement between Iran and Pakistan stipulates construction of Pakistan’s side of the pipeline by December 2014. If the Pakistani government is serious about this project, it must renegotiate the price, SDPI recommends. The publication of the report is the first sign of a problem in implementation of the IP project under the new Nawaz Sharif government. The agreement was negotiated during Zardari administration. No brother!-you need to consider long term benefits.THERE IS NO think tank in Pakistan!..The SDPI is a jock of an institution that is riddled with corrupted people .Let the issue be sent to the Parliament and i believe lawmakers will support the deal! for long term benefit of the Nation!.